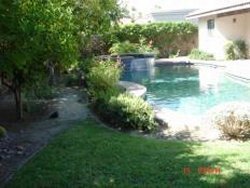 Welcome to our selection of holiday homes to rent in California. The state of California is located on the west coast of the United States and is a diverse state with some of the world�s most famous cities, such as Los Angeles or San Francisco and also incredible natural attractions such as the beautiful Lake Tahoe. Probably the most famous attraction in California is the district of Hollywood, Los Angeles. The historical home of cinema and movie stars, Hollywood is world famous for its contribution to film and world culture. Each year the world turns its gaze to Hollywood�s Kodak Theatre, the home of the Academy Awards Ceremony. The city of Los Angeles is also home to some of the world�s greatest attractions and theme parks including Disneyland, SixFlags Magic Mountiain with some of the world�s best roller coasters, Universal Studios and some fantastic beaches. Another of Californias famous cities is San Francisco, with the world famous Golden Gate Bridge and Alcatraz, the island prison from which no prisoner successfully escaped. Alcatraz is now open to tours. For those who enjoy outdoor activities, Lake Tahoe offers a chance to see a stunning lake with a mountainous surrounding. The area has many ski resorts to enjoy and in the summer months the lake itself is popular for those with a love of water sports and diving. The wilderness surrounding the lake offers trails for cycling and hiking, taking visitors up into the mountainside to see the amazing views of the area. 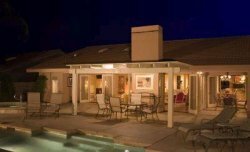 Looking for self catering holiday accommodation in California? 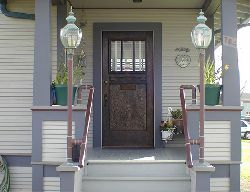 Then below is a selection of condos in California and houses in California that can be rented direct from their owners. You can either click on each listing for further details or you can use our search engine on the left if you are looking for something in particular. Tours are available to take visitors through the streets of Hollywood, up to the Hollywood sign, Grumman�s Chinese Theatre and of course, the Hollywood walk of fame. Some tours travel to Beverly Hills and the Sunset Strip, the place where the stars shop. Warner Bros are perhaps Hollywood�s best-known filmmakers and the studios offer V.I.P. tours for all the family to enjoy. A tour guide will take visitors behind the scenes of well-known T.V. Shows to see the set, the costumes and the props, which are used. There will also be an opportunity to view scripts in the museum. Paramount Pictures also offers tours of its studios. The V.I.P. Tour takes visitors behind the scenes of movies and T.V. Shows past and present. Universal Studios is one of the world�s most famous theme parks. The Universal Studios Tour takes visitors behind the scenes to see how movies are made and then various rides and attractions provide fun for all the family. Rides include the King Kong 360 3-D experience and Jurassic Park � The Ride. Located in Long Beach, whale-watching tours offer the chance to see a range of this amazing creatures close up. Depending on the time of year, different whales can be seen including; Grey and Blue Whales, Fin Whales, Humpback Whales, Minke Whales and Dolphins like Bottlenose, Risso�s, Pacific White Sided and Orcas (Killer Whale). The Six Flags Magic Mountain theme park in Los Angeles is the roller coaster capital of the world it is claimed. The Park does undoubtedly have some of the world�s best roller coasters including a new coaster, GREEN LANTERN: First flight � This coaster is unique in that it goes along the track whilst spinning vertically. The Skythrills rides offer the chance to take to the skies and perform a range of aerobatic manoeuvres in specialist stunt planes. Experienced teachers will instruct on the use of parachutes and will also explain how to perform a range of manoeuvres such as loops, rolls, spins and hammerheads. The Queen Mary was once considered to be the pinnacle of ocean going comfort and luxury. Today the ship is moored at long beach as a hotel and museum ship alongside the �Scorpion� a former soviet submarine used to protect the larger nuclear weapons subs of the soviet navy. Today the submarine is a museum ship and can be visited. San Diego is home to world the famous animal attractions; Seaworld, home of the world renowned Shamu Stadium, where Killer Whale performances excite crowds from around the world. The San Diego Zoo is one of the largest zoos in the world with a huge range of animals; the San Diego Zoo is one of the few zoos that house Giant Pandas. The USS Midway is an aircraft carrier, which was commissioned after World War 2 but saw action in Vietnam and in Iraq during Desert Storm. Today visitors can tour the massive ship and see the flight deck, the bridge, the hangar deck and the command centre. Several aircraft are on display, which have been faithfully and carefully restored. Aquarium of the Bay is another of California�s wildlife conservation and educational centres. The Aquarium hosts various animals including Sharks and Octopus, which can be seen via underwater walks. The aquarium also provides touch tanks and educational exhibits. The San Francisco Zoo is home to over 200 species of animals, many of which are endangered species. See Snow Leopards, Lions, Giraffes, Anacondas, Bald Eagles and even Black Widow spiders. The zoo hosts a range of special and unique exhibits such as Eagle Island, home of �Sureshot� an injured female eagle that was injured in the wild and rescued, as she can no longer fly. Waterworld is one of California�s top waterparks and comes filled with thrilling rides and slides. Some of the most exciting slides include the �Honolulu Halfpipe� a four-story drop down a near vertical slide, Cliffhanger, which drops through two seven-story slides in less than three seconds and the Tornado, a tight, twisting 4-person raft ride through over 130ft of tunnels. The USS Hornet is one of the most accomplished ships in United States naval history, serving in World War 2, The Korean War, Vietnam and she recovered the astronauts from the Apollo 11 mission when they arrived back from their historic moon landing. Today the ship is a museum ship and can be toured. The ship also has a range of aircraft on display as well as artifacts relating to the Apollo missions including a replica of a Gemini Capsule an Apollo Space Capsule. One of San Francisco�s most well known attractions are the cable cars that roll through its streets. Tickets can be purchased upon boarding the cars and day passes are available. The Flightdeck Air Combat Centre is a fighter jet simulation, which authentically simulates flight in the same way as military training simulators do. The centre provides instruction on a number of areas including take-off, landing, aerial manoeuvres, landing on an aircraft carrier and air-to-air combat. Medieval Times is a recreation of a medieval Spanish castle. Visitors are invited to come for four-course feast and watch six knights battle in the arena. The knights battle with swords, maces� and other weapons and then participate in an authentic jousting tournament. Main Street U.S.A. � A recreation of an early 20th century town from the American Midwest. It is located at the park entrance and is the first thing visitors see when arriving. At the far end of Main Street is the iconic Sleeping Beauty Castle. Adventureland � Set in the jungle, Adventureland is a chance to get a taste of the wild. Adventureland has various attractions to enjoy including the Indiana Jones Adventure, Tarzans Treehouse and the Jungle Cruise. New Orleans Square � Based on the streets of New Orleans in the 19th century and contains various shopping opportunities. The square also has various attractions of its own including a Pirates of the Caribbean show building and a haunted mansion. Frontierland � A land set in the old west during the time of the American Frontier. The land has many themed attractions including Frontier Shootin� Arcade, the Big Thunder Mountain Railroad and the Mark Twain Riverboat. Critter Country � Critter Country was once called the �Indian Village� and now contains attractions for Winnie the Pooh, Davy Crockett and also contains a Splash Mountain. Fantasyland � A place �dedicated to the young and young at heart� � Walt Disney. Fantasyland contains rides and attractions based on classical Disney characters like Peter Pan, Alice in Wonderland and Pinocchio. Mickey�s Toon Town � Disneyland�s newest land and is based on the toontown seen in the movie �Who Framed Roger Rabbit�. Children will have the chance to see and meet Mickey and take a ride on the Disneyland Railroad. Tomorrowland � A look into the future, Tomorrowland is themed on the visions of the future by Jules Verne. Some of the attractions here include the Finding Nemo Submarine Voyage, the Monorail and 3D movies including the brand new Star Tours: The Adventures Continue. California�s major airport hubs are the Los Angeles International Airport and the San Francisco International Airport. There are several smaller airports dotted around the state. Los Angeles is the largest city. California is also home to several other cities, which are some of the largest cities in the United States, these include San Francisco, San Diego, San Jose, Long Beach, Fresno and Oakland. California is a very large state and has a very varied climate. The mountains have plenty of snowfall in the winter with mild summers. Further south however is Death Valley in the Mojave Desert, here temperatures are among the hottest in the western hemisphere and can reach well over 50�C. Cities such as San Francisco have average summer temperatures in the mid 20�s�C as the summer heat is cooled by the sea. California is located in the southwestern United States and stretches from Mexico to the south up to Oregon in the north. To the east California shares borders with Nevada and Arizona. Here you can find useful links for tourist attractions and services in California including links to Universal Studios Hollywood, Disneyland California, San Diego Zoo and more.